No better way to know what’s super-cool, gadgetry-wise, than to check in with the people who make it a point to know and live such things. Which is what we did. With no further ado, here’s what cable’s top gadget junkies either crave, or love. Fancy watches are back. Sherita Caesar, VP/National Engineering and Tech Ops for Comcast, likes the Samsung S9100 phone watch (http://bit.ly/JHa6BG). “It’s big and has lots of flashing lights,” she laughed. Also big: Bicycle accouterment. Jay Rolls, CTO of Charter, is eyeing a road bike with electronic shifting (http://bit.ly/1fIoQf1) — “it’s finally gone mainstream — but commands a $1,000 premium,” he sighed, which makes us think he’ll be shifting gears the old-fashioned way, for now. And I’d be remiss if I didn’t mention what’s on the mind of our own Jeff Baumgartner — The Bauminator. As the guy who first described to me how he was flipping his family out by changing channels on the home TV, while he was on the road, he’s now ready for an upgrade to his Slingbox scene. “I’m looking at the Slingbox 500, to complement the Slingbox Pro-HD that I installed at my parent’s house — so I can watch the Broncos games that aren’t covered in Philly.” I’m no football expert, but it would appear this is a good year to do that. That’s the roundup for this year. 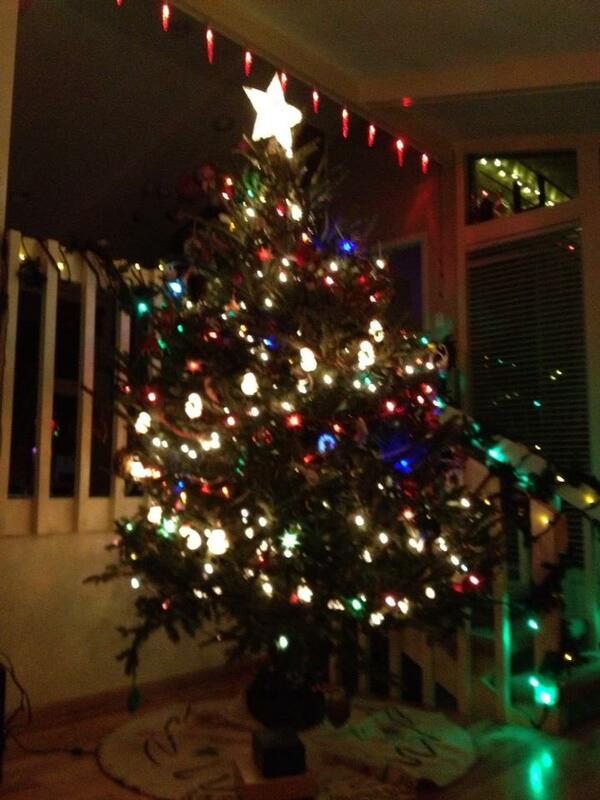 From all of us to you — may all of your 2014 gadgets be friendly and bright! Merry merry. Still looking for some last-minute holiday gifts? You’ve come to the right place. Once again, we’re rounding up our favorite streaming devices in an attempt to make your holiday shopping research a little easier. After all, we follow this stuff all year long! In keeping with the title, we’re focusing on the stocking stuffers of the streaming world – small, specialized, and relatively inexpensive. Because the price and features differ so much, we’ve left the game consoles and connected Blu-ray players off this list (they won’t fit in a stocking, anyway). Without further ado, here’s our list (scroll down to the bottom for a side-by-side comparison of the apps that are currently available on each device). This little dongle made quite a splash earlier this year, and its low price point and small size make it a fantastic stocking stuffer. 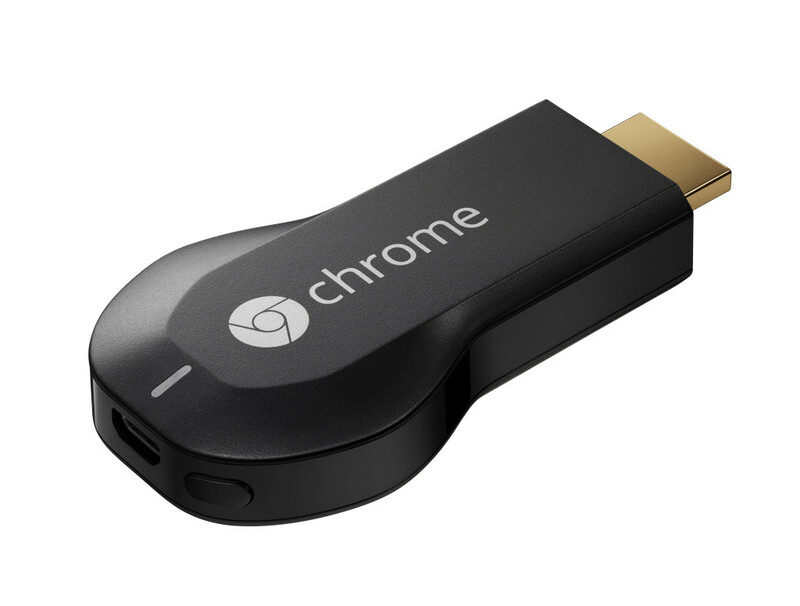 Unlike Roku’s streaming stick, Chromecast will work on any TV with an HDMI port. It currently has access to Netflix, Hulu Plus, YouTube, Pandora, and HBO Go, with more compatible apps joining the ranks soon. Chromecast isn’t as user-friendly as the other devices on this list, but it’s a great choice for anyone who enjoys playing with the latest technology. Despite no updates to the hardware for quite some time, Apple TV is finally getting more premium content. In past years Apple TV only had Netflix and iTunes, making it a tough one to recommend. 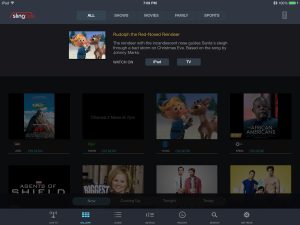 But with the addition of Hulu Plus, and payTV apps such as HBO Go, Disney, and ESPN Live, the premium content selection is starting to look a lot more like Roku’s. And about HBO Go – many of the big payTV operators currently block access on Roku but not on AppleTV, so AppleTV is probably the best bet for any Comcast or DirecTV subscribers on your list. This one won’t surprise anyone, because Roku is consistently at the top of our list in terms of value, content, and ease of use. (Disclaimer: My parents are still using the Roku I got them for Christmas 3 years ago). Old TV? 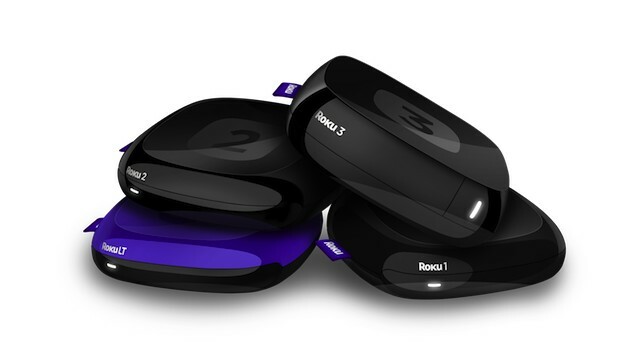 Roku LT or Roku 2. Roku is the only manufacturer on this list that offers component out, making it a great choice to smarten up any dumb analog TV. At around $50, the Roku LT is a perfect gift for your relatives with an ancient TV. While the LT tops out at 720p, the Roku 2 ($80) streams full 1080p video and also includes a headphone jack on the remote – perfect for watching while other people are trying to pretend to work, or sleep. 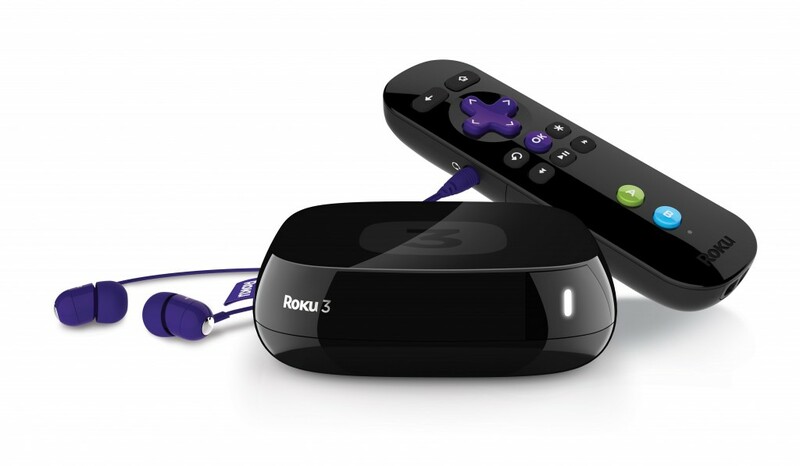 For your favorite media junkie: Roku 3. At $99, Roku 3 adds some premium features on top of the standard ones. Its processor is about 5x faster, and it includes a motion-sensing remote control for gaming (and a free copy of Angry Birds, as in years past). Roku 3 also includes USB and Micro SD ports, making it easier to put home movies and photos up on the big screen. But the thing we’re most excited about is support for DIAL (Discovery And Launch), the same protocol used by Chromecast – this makes it possible to control Roku’s Netflix and YouTube channels from a mobile device. Google retired the “Google TV” name and is now partnering with manufacturers to make devices “with Google services.” New devices from Sony and Hisense have been announced, and Google is also rumored to be building a “Nexus TV” device. 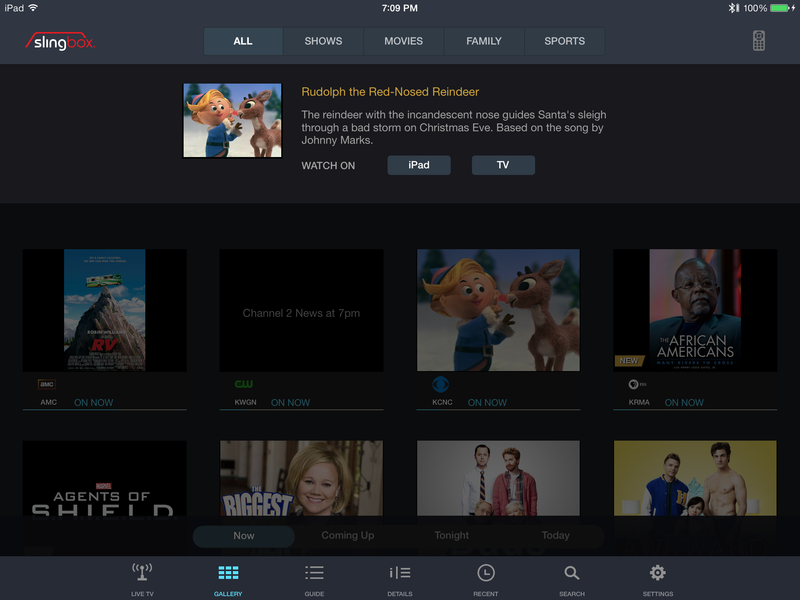 We’ve yet to see the user interface, but the details released so far suggest the same old Google TV experience. And remember, HDMI cables aren’t included with AppleTV and Roku anymore, so you’ll want to throw one in the box as well – no need for anything fancy, this will do. It’s now less than 10 days until Christmas. Chances are high that you need extra batteries for some of those packages you’ll put under the tree next Tuesday night — which seems a festive reason to drop in on that vital technology precinct. Most of us grumbled through this year about this or that battery draining so quickly, or taking so long to charge, or getting so hot when it’s charging. Today’s batteries seem to draw as much in expletives as they do electrical current. As much as we get mad at our batteries, though, they too are on a massive innovation trajectory. For instance: Sumitomo Electric wants to triple the life of a battery using a complicated process that involves a new-ish conductive material called “Aluminum-Celmet.” It gets painted onto a plastic foam, which gets nickel-plated, then heated, so the foam and other materials separate. The foam is more porous, so more Lithium can go in, or some such. Then there’s the recharging mat. Plop your phone onto it, watch it refill its tank. Outfits like the Power Matters Alliance, founded by Procter & Gamble and PowerMat Technologies last year, want to line the horizontal surfaces of our lives with such charging pads. Coffee shops, train stations, ironing boards, you name it. Here’s an end state for batteries that’s simultaneously desirable and inconceivable: Recharing our gadgetry without wires, and without a charging pad. What! The Alliance For Wireless Power, among others, want to do what charging mats do, but over longer distances. But this is by far my favorite battery story of the year: Eesha Khare, the 18 year old who invented a way to completely recharge a cell phone — in 30 seconds. Translation: Foundational stuff for a battery that lasts way longer than today’s Lithium-Ion types — 10,000 cycles, compared to around 1,000 cycles inside the batteries powering the gadgets in our digital gardens now. Bonus: It’s solid state, which means no nasty battery juice inside. That also means it’s environmentally friendly. And, it can be bent or folded or rolled up, and still maintain its electrical properties. None of this will be ready by next Wednesday. But have faith. It’s coming. On November 18th, Sling Media released an overhauled version of its SlingPlayer app for Android and iOS. With this update came a lot of features that we really like, some of which even breathe new life into some of our old “televestigial” devices. In case you missed our first Slingbox post, or aren’t altogether sure about what a Slingbox does, you can read up on it here. The nice folks at Sling Media sent us a Slingbox 500 after the first review. It’s a solid device with a few new features. It seems to drop the connection a bit less often than our Slingbox SOLO, but the main improvements are the built-in WiFi and ease of setup. My main gripe with the Slingbox experience remains a tough one to fix – namely, the painfully long delay that accompanies each button press. This means that rewinding or fast-forwarding is a challenge not unlike parallel parking in a car with no brakes. And my slow broadband connection at the farm is like adding some potholes into the mix. But enough with the holiday driving analogies. On to the latest SlingPlayer app update, which brings some sorely needed features to our fingertips. Two screens are better than one. 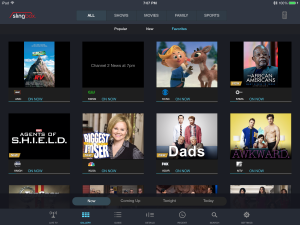 Sling’s updated iPad app brings with it a second-screen experience, making it possible to control the SlingPlayer app on a whole slew of other devices. A SlingPlayer channel also landed on Roku. But (surprise, surprise) there’s a catch. SlingPlayer for Roku doesn’t work this way. It’s free to install, but after that, you must use the SlingPlayer app on your phone to control it. (This is very Chromecast-ish, by the way.) So when you click on the Sling channel, you end up on a page telling you how to buy the SlingPlayer app for iPhone or Android. Huh? Ahhhh, right. Use-case stumble in the value chain that is payTV. Here’s what we mean: SlingPlayer’s mobile apps cost $15 each (yes, that’s fifteen dollars each), and are device-specific. You buy the tablet version,the phone version still costs you. And if (like us) you shelled out for the iPad version, can you use it to control your Roku? No. You’re welcome? 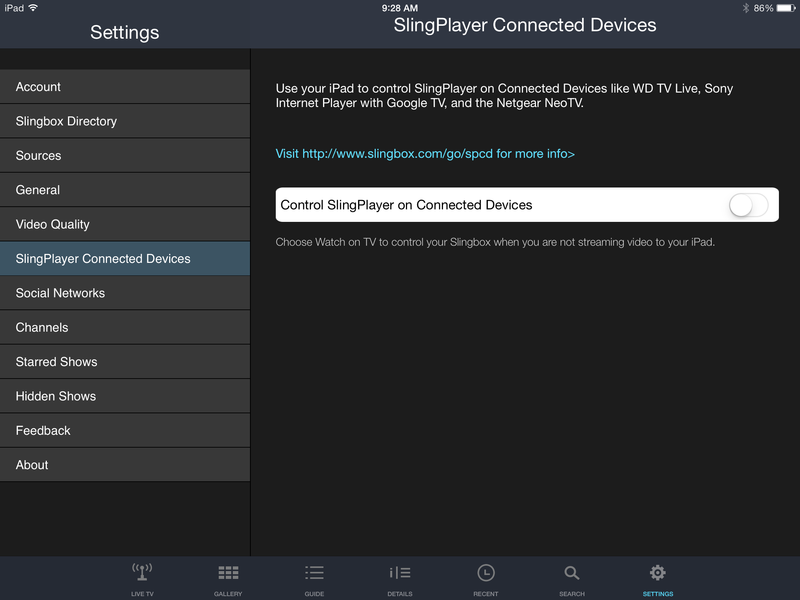 Anyway — yes — that’s right, now you can use the iPad app to control the SlingPlayer app on other connected devices. Who knew! Though at the time of this writing (just around Thanksgiving, 2013) you won’t find much (or anything) about it on their website or in the user forums. It took a chat with tech support before I figured out the correct sequence, but it works – quite well, actually. Step 1: First, log in to the SlingPlayer app, on whatever device that’s connected to your TV, and start streaming live TV. Step 3: Wait for 10 to 20 seconds. Come on! You can do it! Voila: The channel streaming on your TV will change. 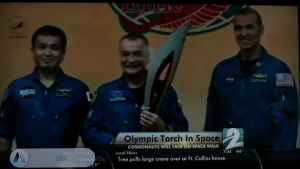 It did for us, anyway (we tested it on the 2nd-gen Google TV, NeoTV, WDTV Live Hub, and even the Boxee Box). Today on FitTV, “Fabulous Cakes.” Wait, what? The latest version of the iOS for Slingbox app also adds AirPlay, so you can send the stream to an Apple TV as well. Bummer dude: When we tested it, the video continued playing out on the iPad screen, while the audio played out through the Apple TV. It’s an odd tug on the senses. One of our favorite new things about the iPad app is the “Gallery” view. It’s an image-based guide that makes for a much easier browsing experience. The gallery view also lets you browse favorites only, if you set favorite channels (by tapping the heart icon in the guide). Favorites have long been a feature of SlingPlayer’s iPad app, but they work particularly well in Gallery view. Another SlingPlayer for iPad thumbs up: Ahhh, there you are, metadata! In previous versions of the app, tapping an item in the guide would automatically tune to that channel. As people who expect guidance metadata — What show is this? What’s it about? — I had a lot of trouble with empty, trigger-happy channel changes. The latest version of the app keeps the current channel playing when you tap an item in the guide. On the same screen real estate, it loads a description of what you’re watching, with the option to watch or record. As this is a table stakes capability we expected from the app all along, we’re glad to see it. The updated Slingplayer for iOS apps also offer a “TV-out” feature, where you connect your mobile device to the TV using an Apple Digital AV Adapter and Component AV Cable. 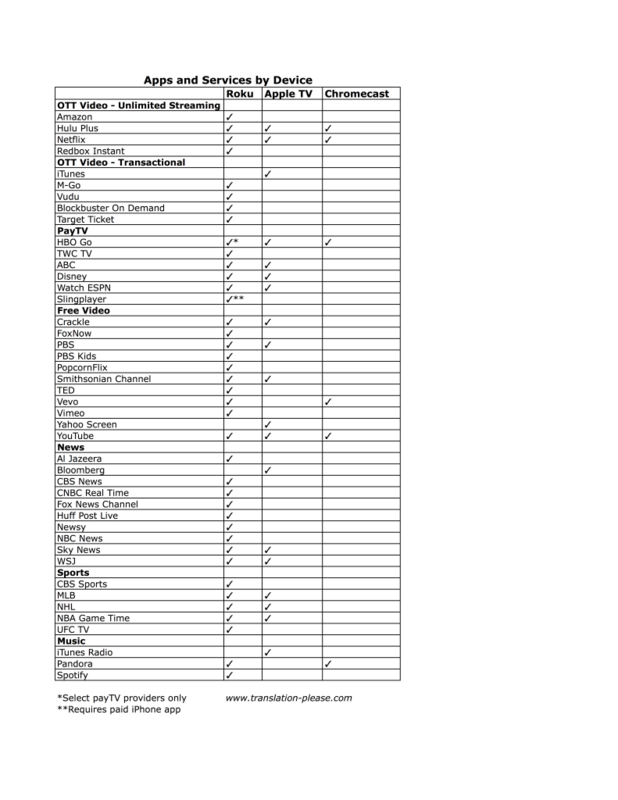 This is a mandatory option for Slingbox owners who travel a lot. It means you only need to pack a couple extra cables to replace the standard hotel lineup — with your own premium channels and DVR. The growing trend toward two-screen control of our panapoly of OTT devices is a welcome one. 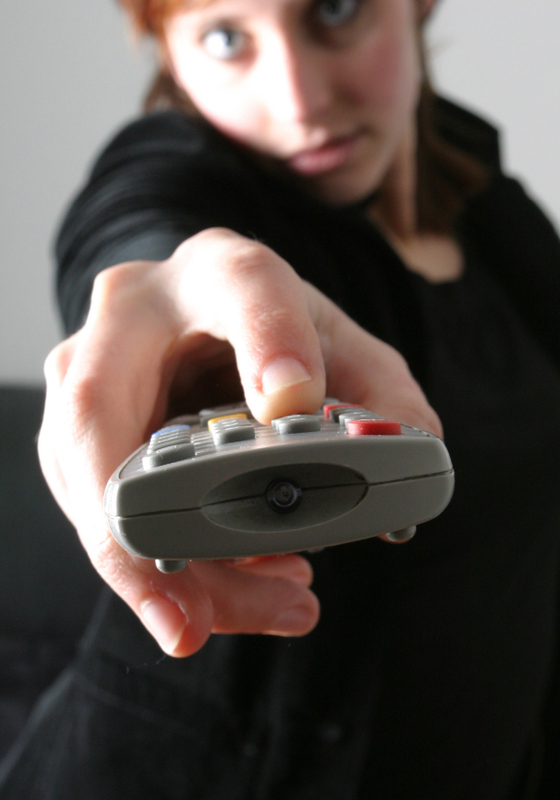 We’ve long needed a remote control that lets you browse while you watch, controlling the TV from a handheld device. 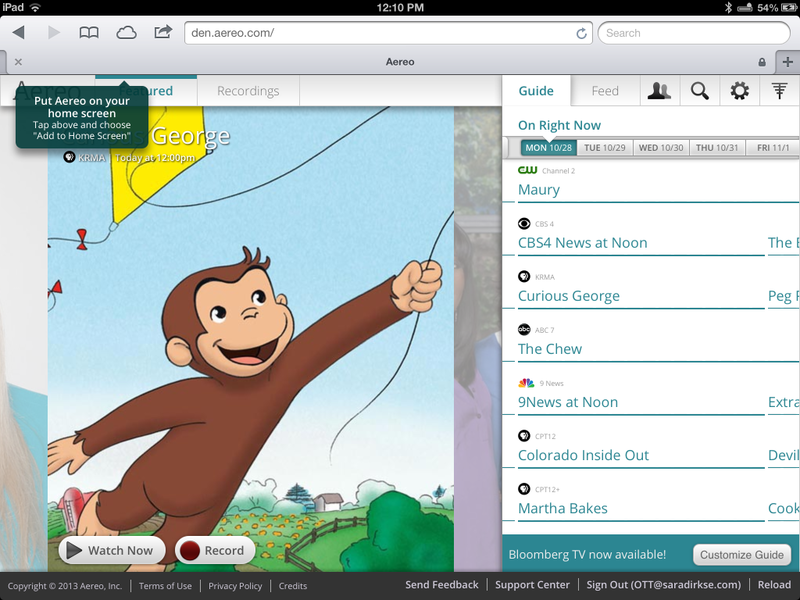 In other words, we’ve needed a cord-cutter’s version of the iPad guide apps that payTV companies rolled out years ago. Sandvine released its Global Internet Phenomena report earlier this week, giving us a fresh look at how all these video streaming services — which we spend a whole lotta time studying — are performing. Netflix continues to lead in fixed access (wired) downstream (toward consumers) traffic, with 31.6% of peak traffic during September. That’s down slightly, from 33% for the same period last year. But most of this data was collected before Netflix made SuperHD (1080P) content available to all subscribers – so Sandvine expects Netflix’s share of traffic to rally. 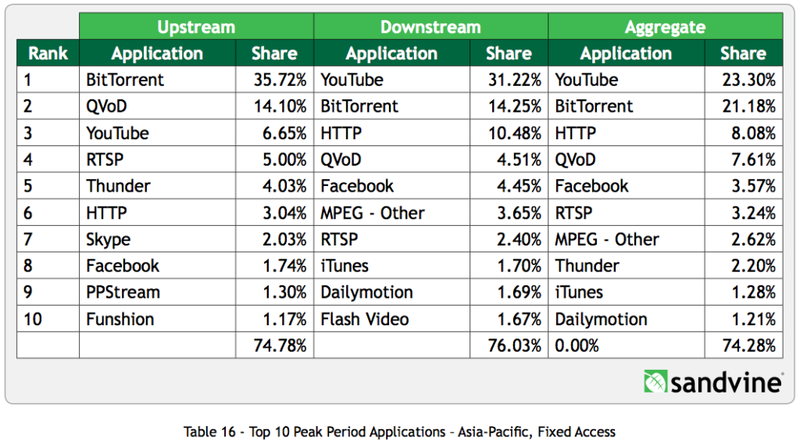 File-sharing site BitTorrent continues to slide, netting just 4% of peak downstream traffic. BitTorrent remains #4 on the list of top traffic sources this year, but illegal/borderline illegal filesharing on the whole is losing traffic with gusto – more than a 20% drop over the past 5 years. This suggests that people will pay for streaming content, rather than going through the hassle, technically or morally, of downloading it illegally. iTunes remains the czar of rental/VOD, in terms of traffic, but is down slightly in market share — dropping from 3.92% to 3.27%. Amazon also declined in viewing share, from 1.75% to 1.61%. That one surprised us, especially following reports of significant Prime subscriber growth in the past year. Hulu cracked the Top 10 for the first time this year, with 1.29% of peak downstream traffic. Congratulations, Hulu. We’ll keep trying to remember to think of you first (or second, or third) when looking for stuff. So thanks, Sandvine, for the update. There’s nothing like fresh data, from authentic spigots. It’s confirming to see some trends sustaining — like how streaming traffic continues to usurp peer-to-peer filesharing. The jockeying of the streaming services, with toolkits inventoried with original content and service provider partnerships, are what we think will add the next contours of broadband consumption. We’ll be watching. 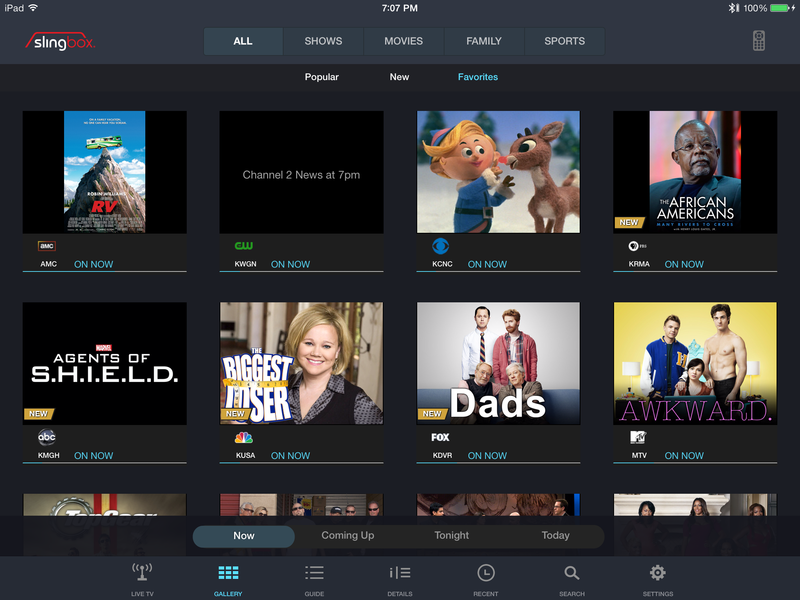 Aereo is over-the-air (OTA) television and local channels provided over the Internet – each subscriber has a remote DVR, plus a dedicated antenna, somewhere in a data center in Denver. Maybe you’ve heard of Aereo in the context of the multiple lawsuits brought by broadcasters – Fox’s CEO publicly threatened to make all its content payTV only, and major networks such as ABC, CBS, and Fox filed lawsuits in multiple states. One or both seem destined to go all the way to the Supreme Court. 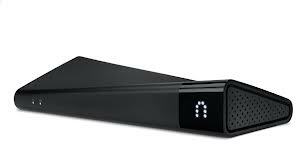 All this legal trouble stems from those antennas on the rooftop – Aereo claims that because each subscriber has a dedicated antenna, it is no different from getting those free-to-air channels using an antenna at home. Not surprisingly, broadcasters disagree — vehemently — and want Aereo to pay retransmission fees just like everyone else who carries their signals. So far, the rulings have been in Aereo’s favor, but another crop of lawsuits popped up in Utah on October 25th. PayTV operators, which do pay handsome retransmission fees for those local channels, are of course watching these proceedings with great interest. A recent article in Businessweek says that DirecTV and Time Warner Cable are weighing similar technology options in the event Aereo prevails, and may have even considered buying the company. We can’t help but wonder what would happen to the payTV ecosystem, were Netflix to buy Aereo. They both need each other — Netflix for live and linear; Aereo for a big catalog of on-demand fare. But we’ll set that aside for now. For $8/month, you get a single tuner and 20 hours of recording time. For $12, you can add a second tuner and increase your recording time to 60 hours. I doubt a second tuner or extra DVR space will get much use with 30 channels in our labs, but is probably a very sound investment for anyone who watches a lot of sports. 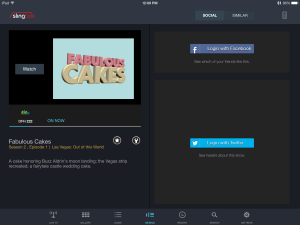 Aereo released a dedicated app for Android devices on October 22, and also works with iOS devices and web browsers. 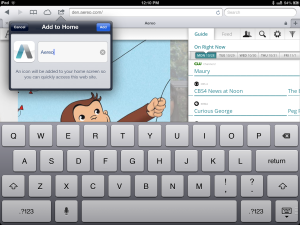 However, you won’t find it in the iTunes app store – you need to access Aereo’s website through Safari on your phone or tablet. Fortunately, it’s easy enough to drop a shortcut on your home screen so the end result is that you have an Aereo icon that takes you right to the website – virtually the same as using an app, and Aereo doesn’t have to give a cut to iTunes. Pretty clever, actually. 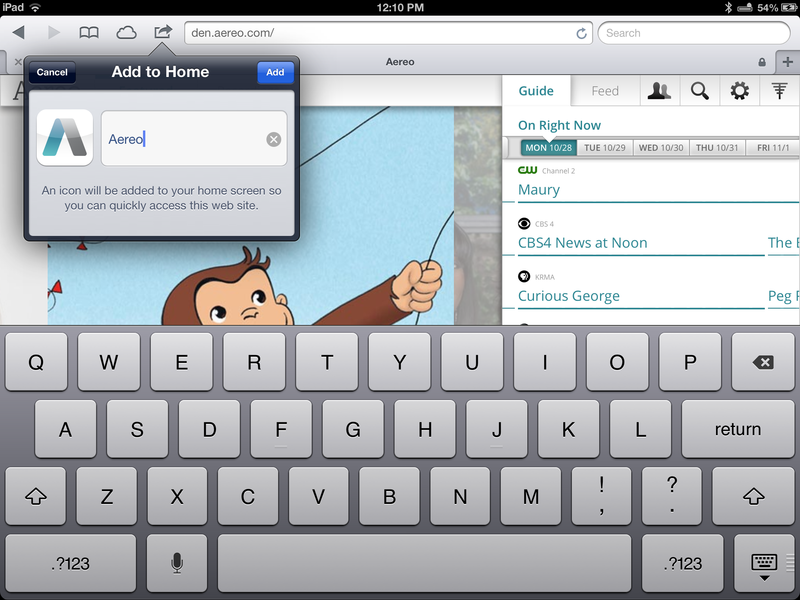 Aereo isn’t an official iOS app, but it’s easy enough to add an icon to your home screen. 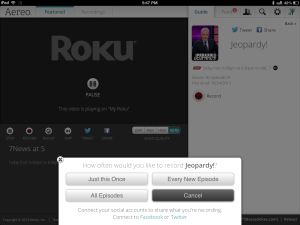 Aereo works on Apple TV via AirPlay, and also has a channel on Roku. The Roku channel is not in the official channel store; you can only add it as a private channel. To do so, you go to the settings area of Aereo’s website and choose “connect to Roku,” then follow the link to Roku’s website to install the channel. Once the channel shows up on your Roku (I had to force a software update in order to see it), you just need to open it and type the confirmation code it displays into Aereo’s settings. Aereo on Roku, Two-Screen Mode. from Leslie Ellis on Vimeo. In general, I like Aereo because it gives me a reliable way to watch local channels in an area where I can barely get an antenna signal. I’ve used a number of antenna-DVR combos, but more often than not my recordings were empty because the signal cut out. But my Aereo antenna, about the size of a dime, is located on an undisclosed rooftop somewhere in Denver and gets an excellent signal – for the first time, I can get all the major networks, and I’ve yet to see a DVR recording that’s just a black screen. Aereo suffers from my slow bandwidth connection, however (5 Mbps on a good day), so the video often pauses to reload even when on the lowest quality setting. The playback on my Roku and my iPad appeared to be about equal on the Farm Lab’s DSL connection, and the two-screen mode on Roku worked equally well (this looks to be a Chromecast-type implementation where the Roku is retrieving the video from a URL rather than streaming it directly from the iPad). This also means that you can navigate to a different page or multitask on your device without interrupting the video. 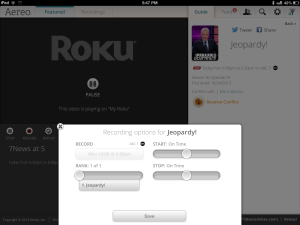 Scheduling a recording from the iPad using Roku’s Two-Screen Mode. However, using AirPlay with my Apple TV to watch Aereo was a different story. The video, which was streaming from my iPad to the Apple TV, paused to buffer so frequently that it wasn’t worth watching. AirPlay also relies on the app being up and the iPad screen active in order to work so there’s no multitasking, or even letting the iPad screen go dark as you watch TV. Other than Aereo, the only way I can watch local news and major networks is using the Slingbox we have hooked up to our Comcast subscription in our Denver OTT lab. While the Slingbox does let me access a lot more content, I mostly find myself using it to watch live local news when there’s something going on. This scenario is considerably better on Aereo, partly because the streaming quality is slightly more reliable than the SlingPlayer app, and I can watch it on my Roku. What’s more, the Aereo lineup in Denver includes 24/7 News (a subchannel of Denver’s channel 7), which plays the latest local newscast 24/7 – I really wish I had this for the floods back in September, and I’ll surely be tuning in the next time a blizzard rolls into Colorado. But as much as I like having Aereo at the Farm Lab, there is one little thing I wish they’d change: As someone who uses TV as background noise more often than not, I like live TV because it’s linear – I don’t have to select another piece of content in order to keep watching. So naturally, I expected Aereo would work this way. Instead, whenever a show ends, it pops up a message telling you to select something else. So if I get sucked into the first 3 minutes of whatever’s on next, I have to clear that message, navigate back through the guide, and find the current segment. Silly. There are also a few glitches to be ironed out in the Guide by Time – future airtimes don’t list shows in the correct time slot – i.e. looking at the 5 pm slot actually gives you shows airing at 7, and because the guide is organized by show you can’t just tune in to a channel – you’re only given the option to schedule a future recording. It would be nice to have a “tune to this channel now” option in the guide. The verdict: I’d really like to see Aereo make its linear experience a bit more linear, so that I can keep watching without constantly picking up the remote. But while it’s not perfect, Aereo is something that I can see myself using because my antenna reception is so awful. After buying expensive HD antennas and running extra-long coax all over the house, paying $8 a month for a reliable signal (and DVR) seems like a bargain, even if I should technically be able to get those channels for free. ATLANTA–As expected, the annual get-together of cable’s technical community steamrolled a fresh mound of terminology into the field of view. This year’s batch, wafting up from the SCTE Cable-Tec Expo two weeks ago, seemed less about tongue-twisting gibberish, and more about lingo swapping — particularly as it relates to the Wild West that is “open source” everything. 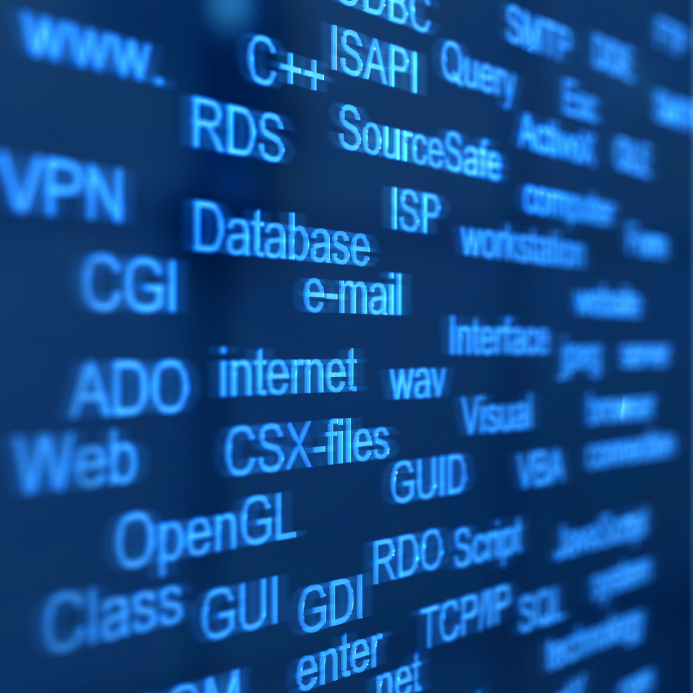 Intellectual property leakage is another early reason why cable technologists used to avoid dabbling in the open source software common to The Big Internet. Open source stipulates a “votes with code” mindset — participants contribute their efforts into a big, open repository, for anyone else to dip into. 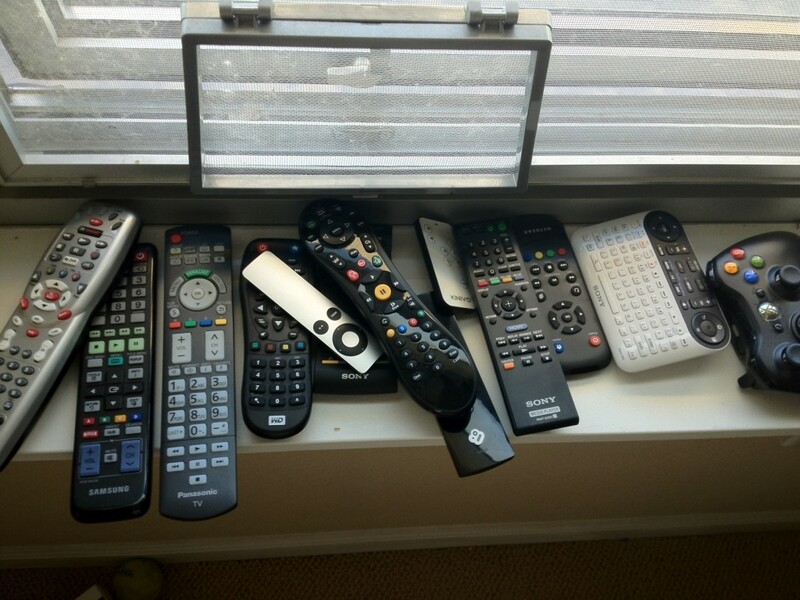 This was seen as particularly risky when it came to set-top boxes, which contain things just too sensitive to be open. Like how encrypted signals are decrypted, for instance. Or how they tie fairly directly into things like billing data. That all changed with the RDK – the Reference Design Kit. As was confirmed by panelists on an “RDK in Action” panel during Expo, RDK is the cable industry’s first real example of open source inside the set-tops and gateways cable operators buy to lease to consumers. Concerns about being infected by the stuff of The Big Internet, coupled with the worries of Intellectual Property leakage, are why RDK is technically considered “shared source.” The difference between “open source” and “shared source,” very simply? The license. RDK community members gain access to the source code repository by signing a (zero dollar) license. Then there’s the fork. Forks matter greatly in open source/shared source communities. This is more “fork in the road” than “put a fork in it,” although generally speaking, forks are bad. They happen when an open source effort decides to take a different technological course. Then, everyone who uses that code must decide: Take the fork, or stay on the original course? This happened in September with one of the core components in the RDK stack – the web engine – which forked to a Google-built effort called “Blink.” Experts at the RDK panel at SCTE marked the development as “no biggie,” explaining that a tenet of RDK is to stay at the tip of the developments in the open source elements it selected. In other words, if Blink is deemed better, then so it shall be. 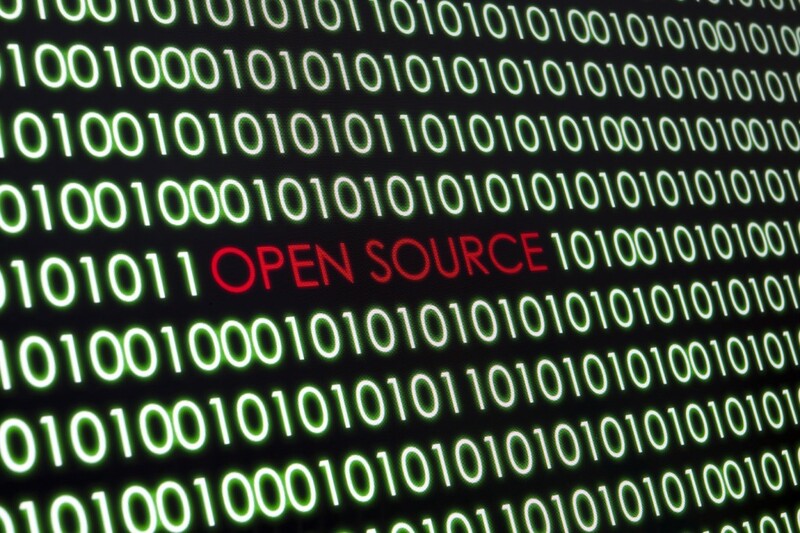 It wasn’t that long ago – two years, maybe three – that the term “open source,” to industries like cable, which operate giant, two-way networks, was dismissed as too risky. Guaranteed to introduce malware and other kinds of security hazards. It just wasn’t a wise idea, the thinking went, to usher the techniques of The Big Internet into professionally managed networks. Open source. Open stack. Open flow. Open this, open that. Open is good; proprietary is bad. That’s the trajectory. Before we start breaking this down: Our apologies to those readers who’ve maneuvered the software jargon jungle long before the rest of us. You know who you are. Hunch: You’re a smaller percentage of the readership of this magazine than the rest of us. What happened? It’s all part of the unstoppable flow of technologies, networks, services and people toward “all IP,” where the “IP” stands for “Internet Protocol.” As it is, the industry’s broadband networks are becoming “virtualized” – broken apart into individual chunks, or modules, of activity. At the same time, competition from all sides forces the need to do everything faster. That’s where the open source community comes in. You need a module to get your network to do something? What if that something already exists, in the open source community – why reinvent that wheel? By contrast, with code that’s based on open source techniques, you’re able to see into the code, to fix problems on the fly. That load balancer that’s giving you fits? Move the logic out into an application layer for inspection. Find the bug, fix it, six hours. Perhaps not surprisingly, the “open” world is thick with activity, participants, “solutions,” and jargon. We’ll tease out the parts that matter, and bring them to you here. 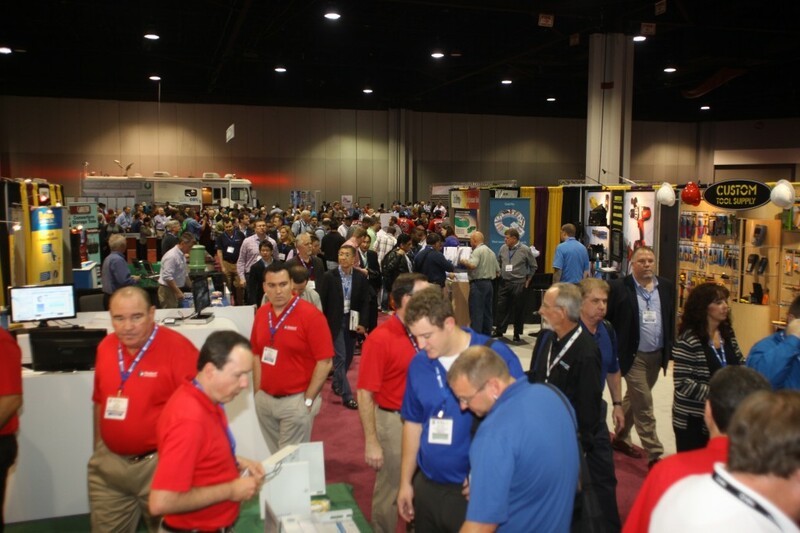 Cable’s technical community heads to Atlanta next week for the annual SCTE Cable-Tec Expo, guaranteed to be a maze of impressively nerdy tech talk. Here’s a preview of likely lingo. Predictive Distortions and CPE Spectrum Analysis: This one’s all about some seriously good stuff happening in field operations, which is the ability to predict plant problems, with location, based on distortion signatures. This leads directly to “CPE Spectrum Analysis,” where the CPE stands for Customer Premise Equipment. It means operators can reduce the tried-and-true spectrum analyzer (which are spendy) into code inside a set-top, modem or gateway. Yotta comes into play in cable tech when thinking through how to deal with big volumes of data – like when you’re polling, say, 40 million pieces of CPE, every 10 minutes. The Combining Network. One of the black arts in any cable headend is the combining network. It’s the last thing that happens before everything goes into the laser to shoot out onto fiber, then coax, then homes. It’s critical, because it’s the thing that combines multiple, outbound video channels together for the ride to subscribers. Often derided as “a rats nest,” the combining network is a hot tech topic because it will change, and maybe even go away, as the transition to IP (Internet Protocol) marches on. That’s good news from a reduction-of-complexity perspective, but it’s a brain-melter to think through. Bufferbloat Mitigation: In data networks, buffers exist to make sure bits don’t bunch up when pipes get crowded. With so much video moving over the Internet, buffers are already starting to bloat, which causes quality issues. Rolaids aren’t an option. Nor does the historical remedy work: Throwing more bandwidth at it. Which is why bufferbloat mitigation falls into the “likely lingo” hat at this year’s Expo. There’s more! So much more! We’ll bring it all back for you…. Here’s some good news from the Land of Connectors: We’re not going to have to replace all those spendy HDMI cables we’ve been buying for the last decade, when the next chapter in HDTVs enters the marketplace. That’s because of a development called HDMI 2.0 (where HDMI stands for High Definition Multimedia Interface), which aims to resolve what could’ve been a “last foot bottleneck” for super-fat video streams, like 4K television. The concern, before 2.0 surfaced, was that yet another core device in our digital lives (the television) would need a new connector and cable. Again! If you’re in a household with an iPhone4 and an iPhone5, or an older and newer iPad, or an older or newer Macbook Air, you know how irritating this is. On the surface, HDMI 2.0 solves one in a long chain of obstacles facing 4K/UltraHD television: Available bandwidth, at the very last juncture before images and sound reach the eyeballs and ears. Meaning the cable and connector that feeds the TV. When native 4K content becomes available (ETA: anyone’s guess), it will be substantially bigger than the best HD you’ve yet seen. Even with the best compression on the market today (H.264), 4K weighs in at 17 Megabits per second (Mbps.) That’s a lot. HDMI 2.0 expands the connectivity bandwidth to 18 Gigabits per second, and, more importantly, increases the number of frames per second (fps) to 60. That’ll be good for sports and gamers; most movies are shot at 24 frames per second, and that’s unlikely to change. And, that bandwidth can be manipulated to serve up two lower-resolution streams, on the same screen. For when you want to watch the movie and your mate wants to play Space Biff, I s’pose. But wait! There’s more: Way better audio. HDMI 2.0 offers 32 audio channels, up from eight. And now let’s talk about those things that might connect over HDMI 2.0. Right now, native 4K content is pretty limited. That’s likely to persist, at least until cameras, production trucks and workflow tools catch up. Optical disc technologies, like Blu-Ray, are also among the things in the UltraHD landscape that likely don’t have a big enough carrying capacity. So it’s unlikely that we’ll be getting 4K content via packaged media/DVDs anytime soon. Regardless, any technological development that doesn’t necessitate the purchase of new connectors, wires or chargers, is ok by me.